Hammer Film Productions is mostly known for their films featuring classic horror characters like Dracula, the Mummy, and Frankenstein. However, they also produced films in plenty of other genres including a lot of thrillers. All four of the films on these two Hammer Films Double Feature Blu-ray releases are thrillers, not the classic monster movies the company is known for. Even though these four films are ones that pretty much nobody has heard of, there’s always the chance of finding a hidden gem in these collections. Do any of these four films meet that criteria? 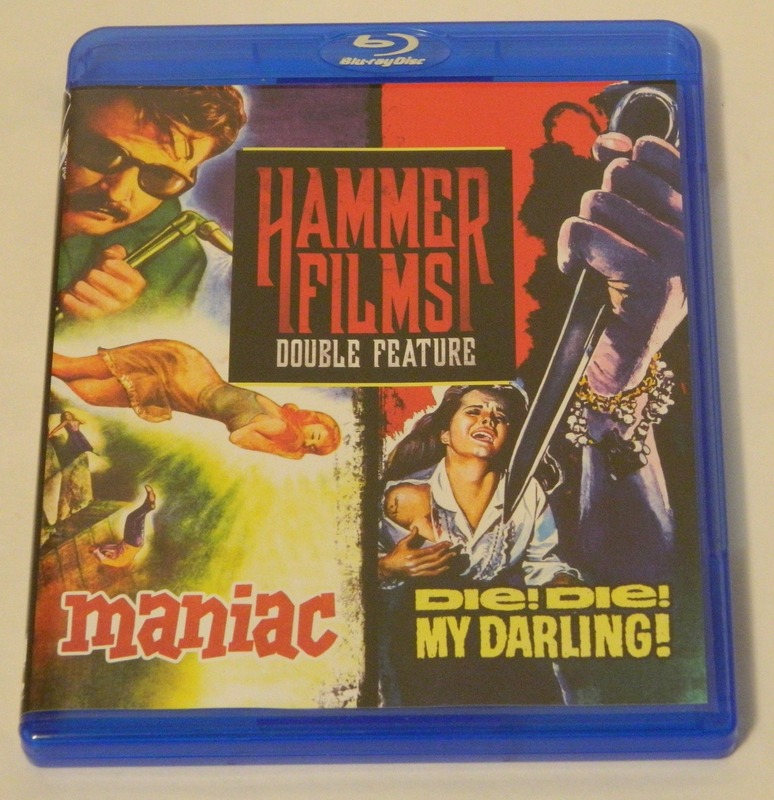 This double feature set includes Maniac and Die! Die! My Darling! (aka Fanatic). Maniac is a 1963 psychological thriller about an American artist in France who becomes romantically involved with an older woman and her teenage stepdaughter. He agrees to help the woman get her husband out of the asylum, where he was spending time for using a blowtorch to kill a man who had raped their daughter. While he does this to win the woman’s love, she unsurprisingly has a different plan. Die! Die! My Darling! came out two years later. This thriller film is also about an American traveling overseas, though this one is about a woman named Patricia arriving in London to get married to her significant other. Before her marriage, she decides to visit the super-religious mother of her deceased former fiance (who had died in a car accident a few years earlier). This woman blames Patricia for her son’s death and holds her captive to attempt to cleanse her soul. Volume 4 includes Scream of Fear (aka Taste of Fear) and Never Take Candy from a Stranger (sometimes known as Never Take Sweets from a Stranger). I’m only going to review Scream of Fear because it was the only film of the two I was interested in watching in this collection. I have no real interest in ever watching Never Take Candy from a Stranger. Scream of Fear is a 1961 thriller film about a woman in a wheelchair (Penny played by Susan Strasberg) returning to her family home after her father’s mysterious disappearance. Upon her return, she finds her father’s corpse in multiple different locations around the house but nobody else sees it. Even though no one else believes her, she quickly begins to believe that her father is dead, possibly at the hands of her stepmother. While I didn’t watch the film and due to that I’m not going to review it, Never Take Candy from a Stranger is from 1960. The film is about two young girls being lured into the house of an elderly man who demands that they dance naked for him in exchange for candy. The parents learn of this disturbing event and go to the police. However, the accused man is part of a wealthy and influential family in the town and thus the police chief doubts their story. However, the case does proceed to court under the assumption that their story will fall apart and the stacked jury will vote to acquit. Since these films are all from the early-to-mid ’60s (and three of the four are in black and white), you wouldn’t expect them to look super amazing on Blu-ray or at the very least it is much more acceptable for there to be some flaws. However, I thought the films I watched actually looked great on Blu-ray, especially for their age. The picture quality is very sharp and likely a huge improvement over the DVD releases of these films. Due to the age of these films, it also shouldn’t be a surprise that no bonus features are included. Overall, my thoughts on the three films I watched were pretty middling. I gave out two 2.5 grades and a 2/5. If you are into old British thrillers, these two releases might be worth picking up but at least for me, they were a bit too boring. 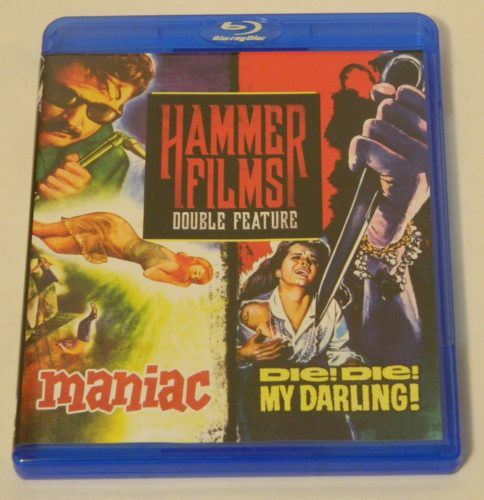 Hammer Films Double Feature: Volumes 3 and 4 were released on Blu-ray on March 6, 2018. We would like to thank Mill Creek Entertainment for the review copies of Hammer Films Double Feature: Volumes 3 and 4 used for this review. Other than receiving the review copy we at Geeky Hobbies received no other compensation. Receiving the review copy had no impact on the content of this review or the final score. I think you really missed out by not watching NEVER TAKE CANDY FROM A STRANGER. It’s pretty good. But my caveat is that I liked SCREAM OF FEAR (which predates PSYCHO) more than you did. So your mileage may vary. I’d give SCREAM OF FEAR 3.5/5 and NEVER TAKE CANDY FROM A STRANGER 3/5. As for the other set, I thought your reviews were spot on. Although I’d rank them a tad lower. Thanks for your comment, I might try to get around to watching Never Take Candy From a Stranger at some point.